In a year that’s already seen mass layoffs across multiple media brands, what happened yesterday at videogame publisher Activision-Blizzard somehow felt more like a reckoning. During an earnings call with investors, chief operating officer Coddy Johnson confirmed that despite “record revenues” in the fourth quarter of 2018, the company would lay off approximately 8 percent of its nearly 10,000 workforce—almost 800 people. Rumors about the cuts had circulated since before the weekend, though that didn’t make them any less upsetting. As the news filtered out, a through-line emerged quickly: Activision-Blizzard’s woes were just another example of how a certain battle-royale phenomenon has decimated the games industry. “Fortnite Effect Strikes Again,” claimed CNN. “Fortnite Is Outgaming Activision Stock,” wrote Barron’s. Seems obvious, right? Fortnite is so big, so popular, makes so much money, that no one else can keep up. Except that’s not what’s happening here. There is a Fortnite Effect, yes, but it’s not being caused by the game’s continuing utter dominance—the source is a lack of original thinking among developers and investors both. Look even a little bit more closely at Activision-Blizzard’s troubles and you’ll see a more complicated picture. It’s not that people aren’t playing its games—Black Ops 4 continued Call of Duty’s 10-year streak as the best-selling console franchise of 2018—it’s that they’re not spending as much money inside the games. Blizzard titles Overwatch and Hearthstone were particularly hard-hit, and Johnson described Black Ops 4‘s in-game revenue as starting “slower than expected.” In sum, in-game revenue fell short of the company’s projections by around $200 million. Activision-Blizzard also isn’t the only publisher feeling the effects of a perceived Fortnite Effect. 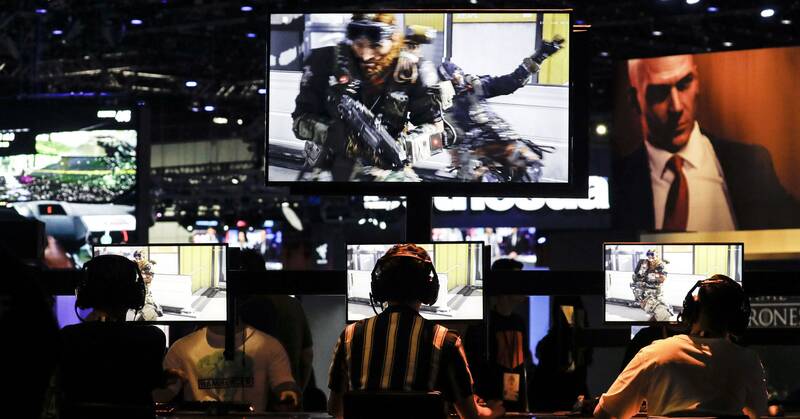 Take-Two, which owns Rockstar Games (Red Dead Redemption 2) and 2K Sports (NBA 2K19), also reported its earnings recently, as did Electronic Arts, which owns its own slate of blockbuster franchises (Battlefield, FIFA, the forthcoming Anthem). Take-Two had great news, buoyed by colossal sales of RDR2 and 2K19; and EA had terrible news, thanks to very not-colossal sales of Battlefield V. In the wake of those announcements one stock dropped and one rose—but not the ones you’d think. Take-Two dropped more than 10 percent, while EA’s spiked by about the same amount. Why? Because fighting Fortnite with Fortnite is the only tactic investors seem able to imagine. EA may be coming off a terrible fiscal quarter, but it was the swift and astounding success of Apex Legends, the publisher’s own free-to-play battle royale, that bumped the company’s stock within days of release. (Currently, Apex Legends is attracting nearly twice the Twitch viewership as Fortnite.) Take-Two has no such announced project in the works, making all its growth feel for naught. Twitch’s top-performing games on February 13, 2019. Meanwhile, all three publishers hit the same notes about the coming year. Activision-Blizzard announced that it would pour money into its games, increasing development staff up to 20 percent over the next year. But which games? Candy Crush. Call of Duty, including a mobile game. Hearthstone. Diablo: Immortal, a free-to-play mobile game that was roundly reviled when the company announced it last year. In other words, nothing new. The same goes for Take-Two. EA is on the cusp of releasing a new title, Anthem, but with the success of Apex Legends, attracting a devoted (and profligate) user base is all but guaranteed. In fact, Activision-Blizzard explicitly shied away from the idea of challenging itself with new titles at all. “Main franchises,” “big franchises,” and “core franchises” were all used by executives during the call. But the phrase “new franchise”? Not a single time. So yes, there’s a Fortnite Effect. It’s just not what you think it is.